Originally from New Zealand, Matt Dumayne’s past experience included making wines under his own label, De Vine Wines, which captured critical acclaim, including 96 points and five star reviews from MW Bob Campbell. 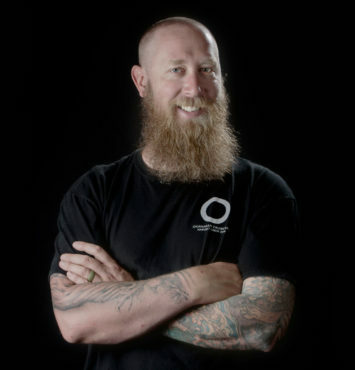 Additionally while in New Zealand Matt made custom crush wines for others, and gained experience converting a vineyard to organic and biodynamic farming practices. He went on to craft award-winning wines in Central Otago, California, Australia, and Oregon for more than 25 vintages, before bringing his experience and passion to Coolshanagh, which he makes at Okanagan Crush Pad in Summerland, where he is the chief winemaker. Matt’s objective for Coolshanagh is to make wines that specifically express and reflect the terroir of the valley and of the soil of Coolshanagh Vineyard. Consulting to Coolshanagh is the internationally renowned terroir specialist Dr. Pedro Parra. 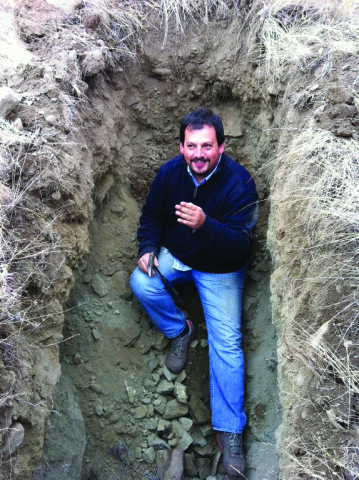 Based in Chile, Pedro is one of only a small cohort of wine terroir consultants in the world. Unmatched in the wine world, Pedro was named as Decanter Magazine’s Power List of 50 Most Influential Wine People and Jancis Robinson, one of the world’s most renowned wine critics calls Pedro Parra-“Chile’s Terroir Genius“. Pedro evaluates the soil and through precision viticulture techniques makes advisements on what to plant in what site, and the irrigation regime. When Pedro visited the Coolshanagh site he was most impressed. 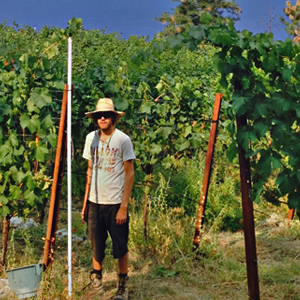 Pedro studied the site in August 2014, and stated he felt that it offers some of the best exposure and soil structures for grape growing he had seen in the Okanagan. Poetically, he suggested the land had the “soul and texture to potentially develop tastes similar to that of Meursault, but with an undeniable Okanagan backbone. It is in the top 15% in the world.” Skip and Judy are proud to have Pedro’s global insight to apply to their Naramata site. Originally from Quebec, Benoit Lanthier entered the wine industry as part of the pruning team at Mission Hill Winery in West Kelowna and by overseeing a vineyard team at Hindson Vineyard and Orchard in Naramata from 2012-2013. In 2014, Benoit joined Coolshanagh as the Vineyard Manager in order to manage the day-to-day operations of the vineyard and help bring Coolshanagh wines to life.